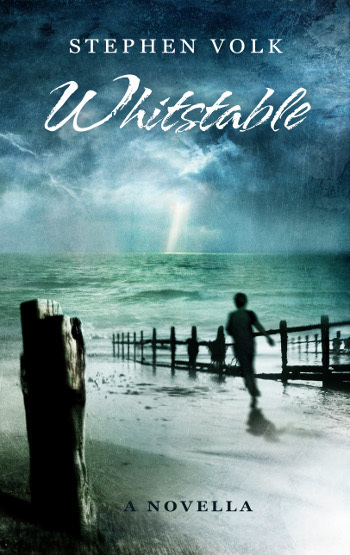 Spectral is very proud to announce that Stephen Volk’s Whitstable novella will launched in… WHITSTABLE MUSEUM, WHITSTABLE, KENT on 25th May 2013 between 5pm & 6:30pm, as a part of the Whit Lit Festival – a very fitting place in which to do so. There will be a Q&A session with Stephen, and afterwards there will a book signing (Spectral will be there with both hardbacks and paperbacks for sale). This is a ticketed event, and entry will cost £6 – tickets can be obtained from either Whit Lit Festival or TicketSource. Places are extremely limited, so if any of you lovely people intend to go please secure your ticket today! Whitstable is a beautifully picturesque maritime town on the northeast Kent coast, famous for its Oyster Festival and, of course, the place where Helen and Peter Cushing decided to live in the course of Helen’s illness. The environs of Whitstable have been inhabited since paleolithic times and the town was mentioned in the Domesday Book of 1086. Its oysters have achieved fame throughout the world, and have been harvested since at least Roman times. We here at Spectral can’t think of a more wonderfully appropriate setting in which to officially launch this literary tribute to one of Britain’s finest actors. This promises to be an absolutely scintillating event – look forward to seeing you there! Afraid I’ll be on my Hollybob’s then. Hope a good time is had by all.